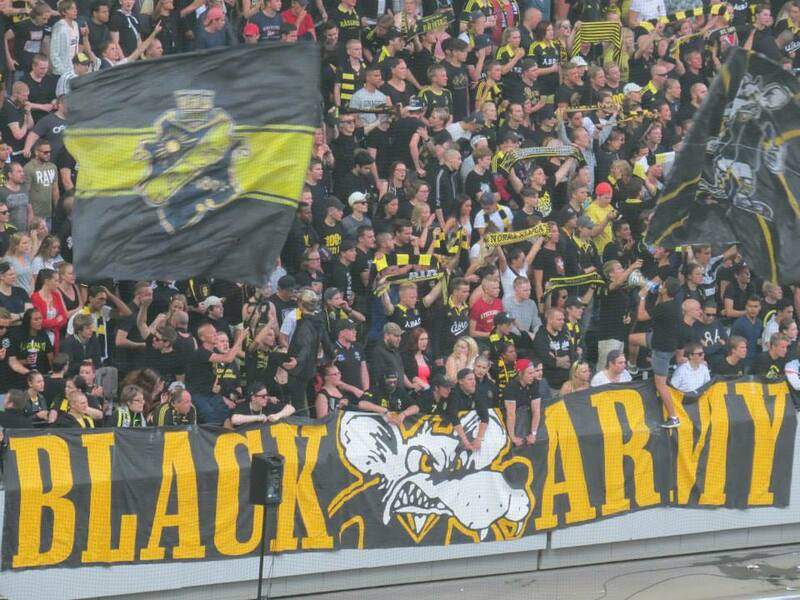 Derbytime! 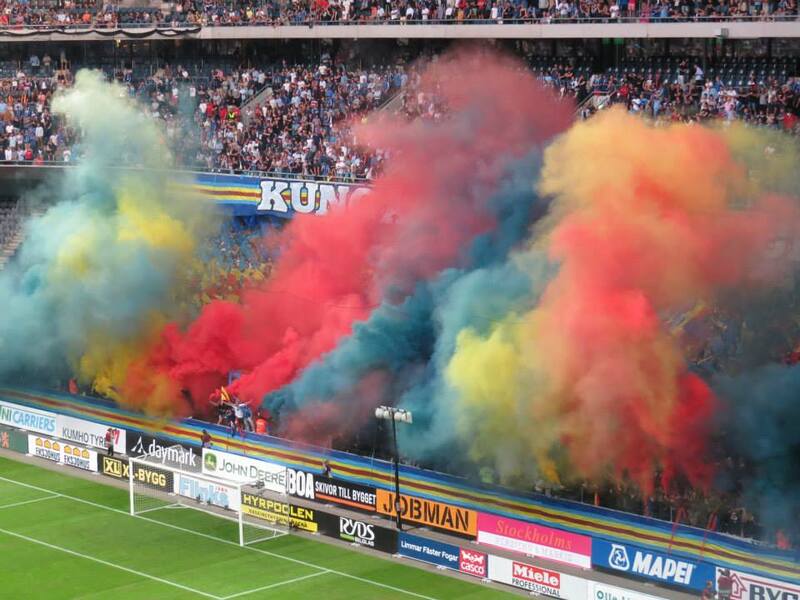 After my visit of the first leg in May this year ( Djurgårdens IF vs AIK ) and one of my best football experiences ever, I defenitely had to come back to see the return match and I was not disappointed! 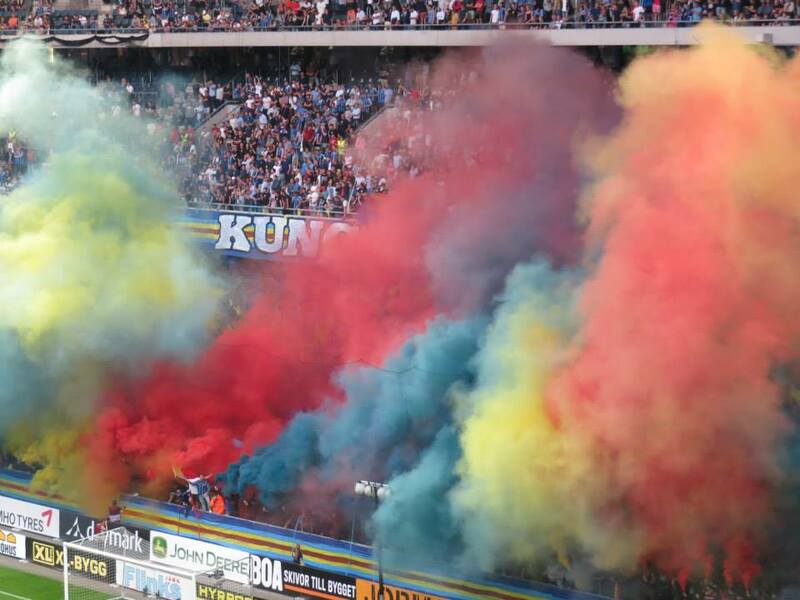 Once again a spectacular Derby on the pitch and on the stands. 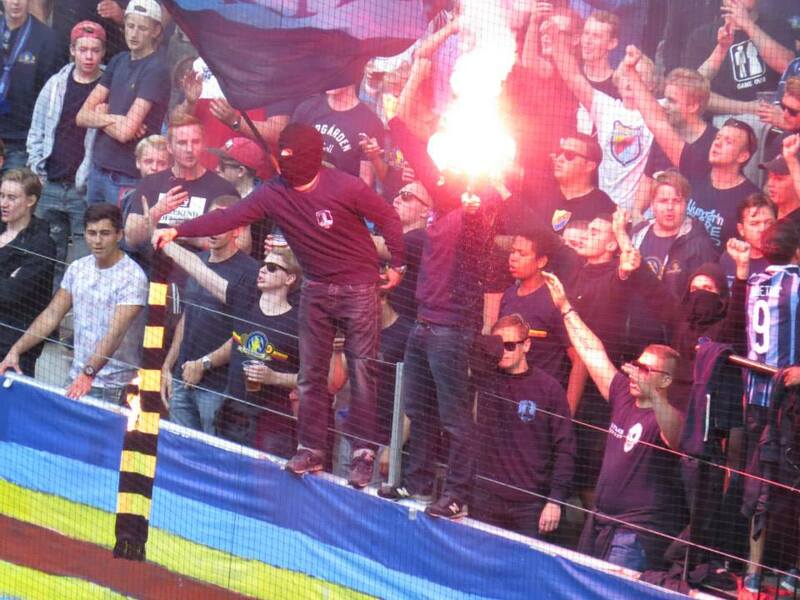 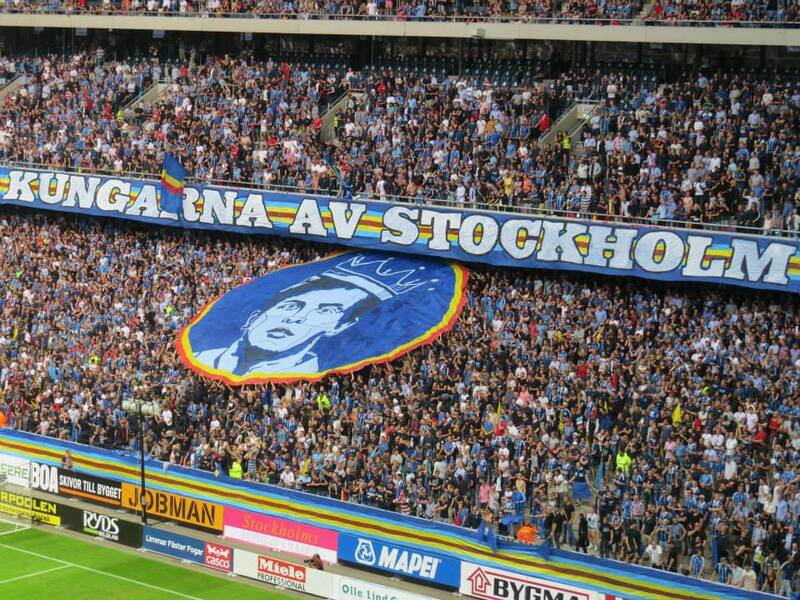 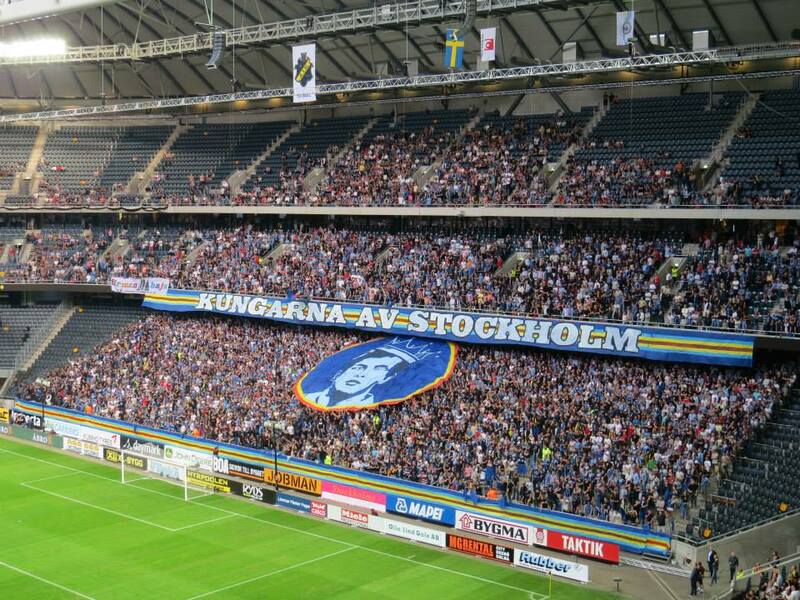 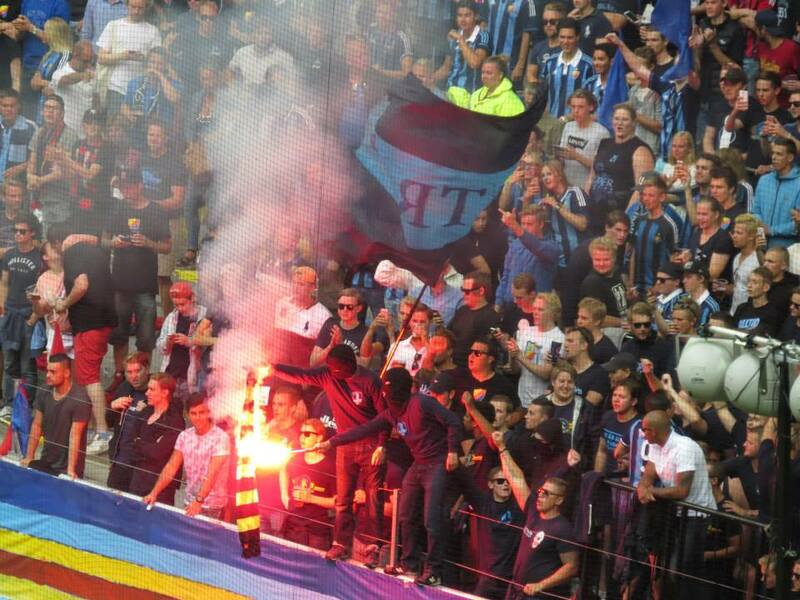 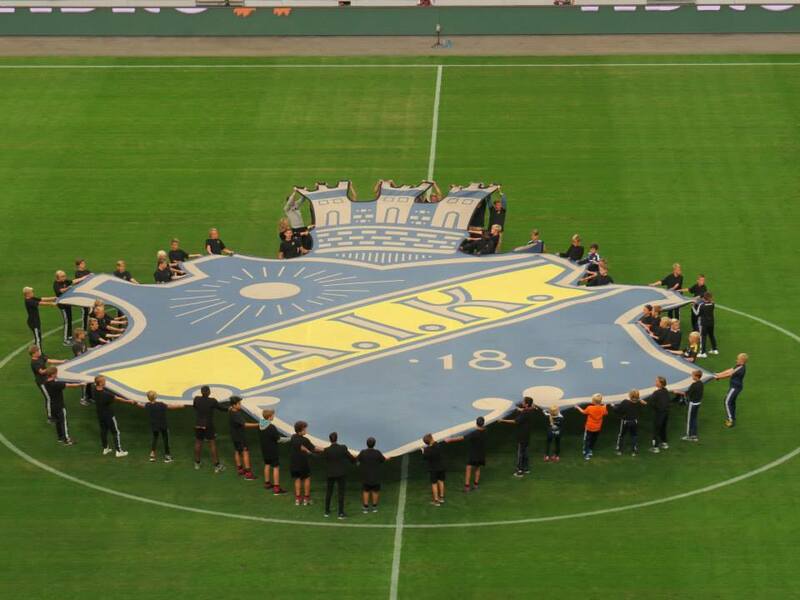 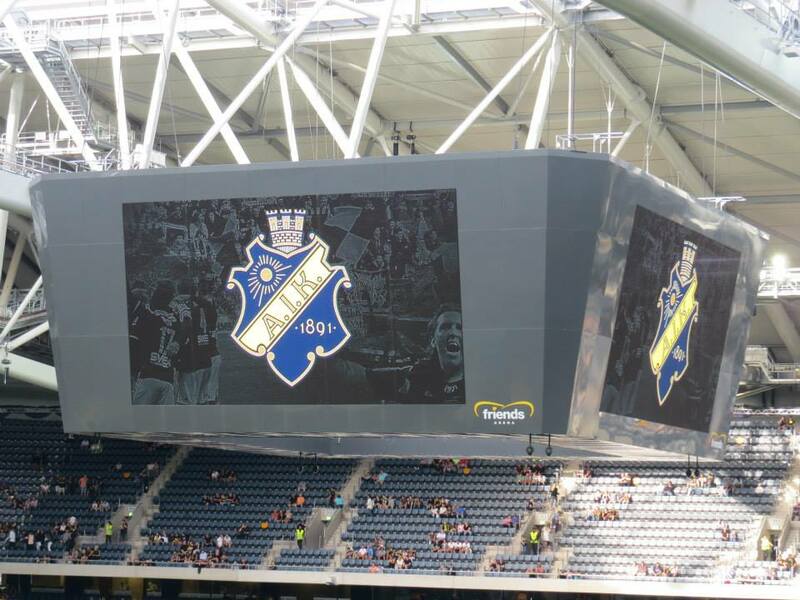 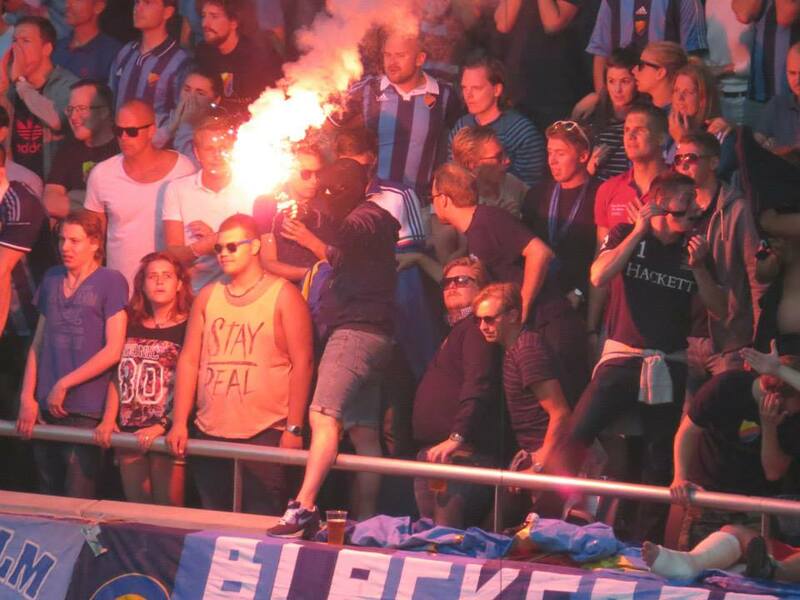 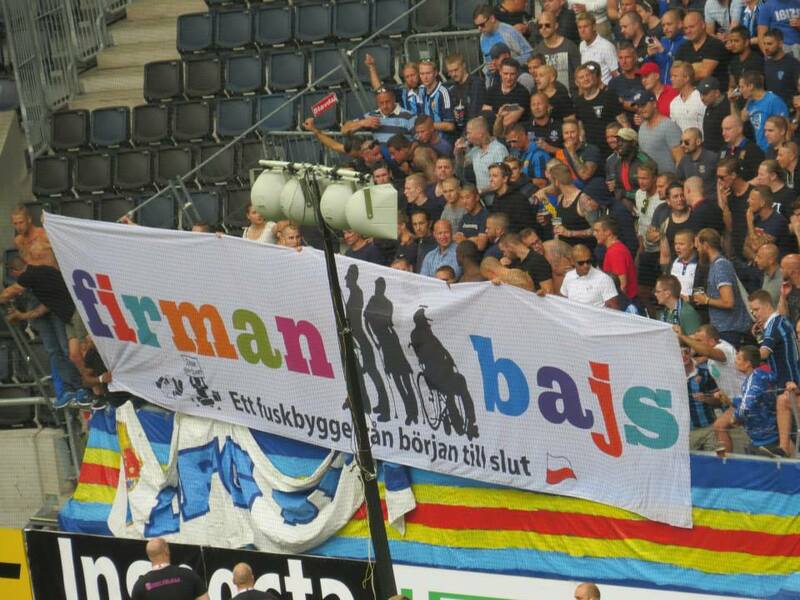 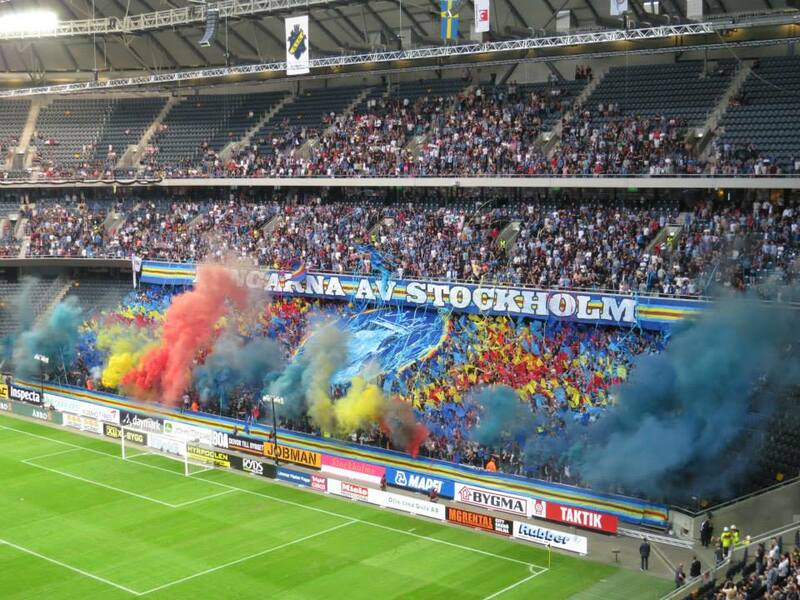 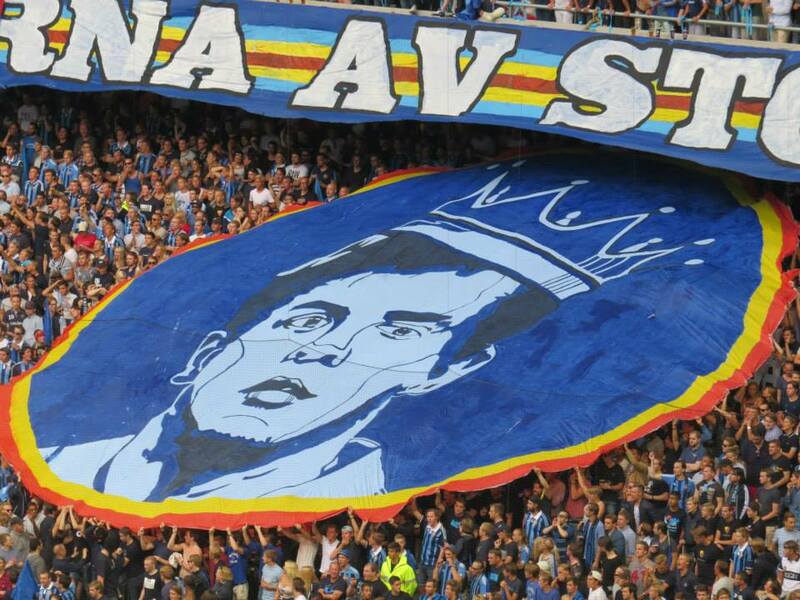 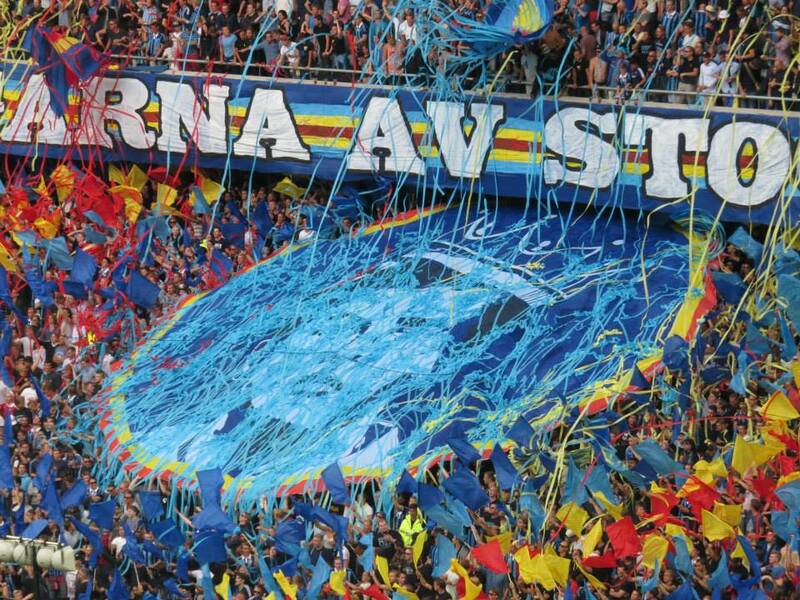 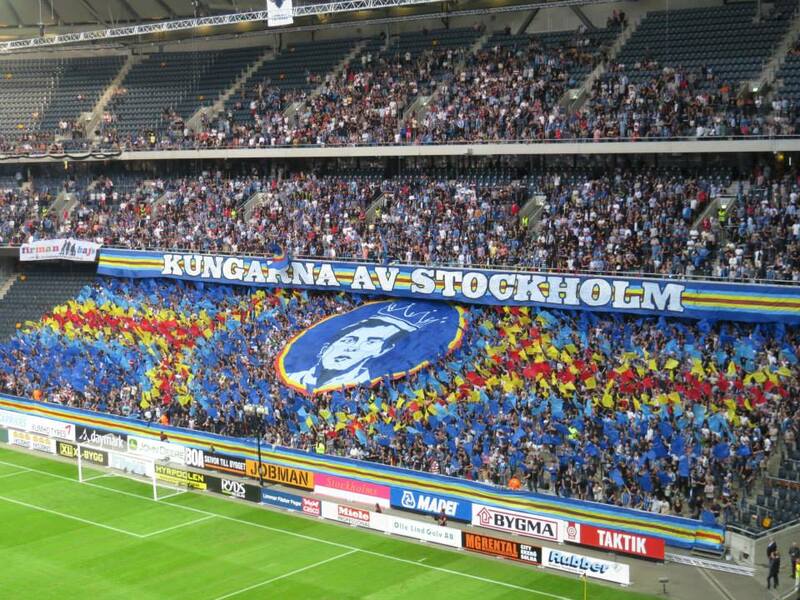 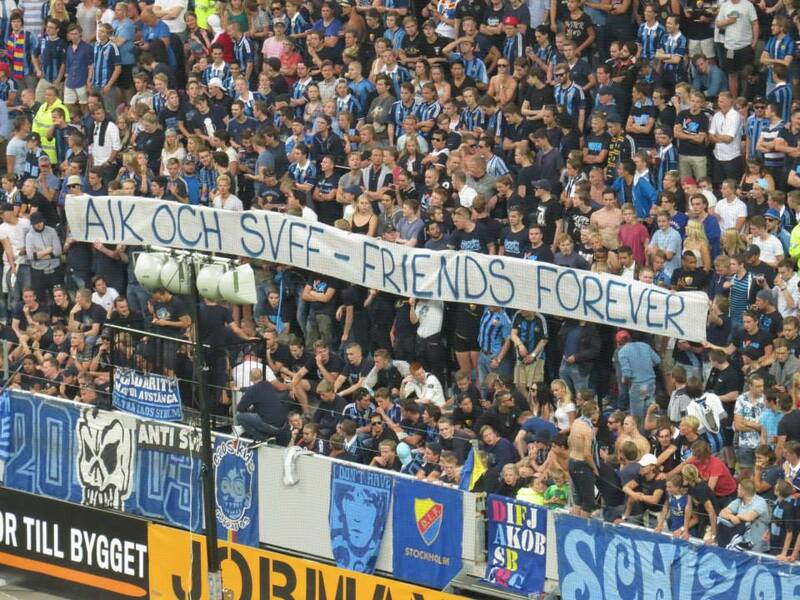 The DIF fans started the match with small flags in club colours, a big round flag with the portrait of a King and a “Kings of Stockholm” Banner. 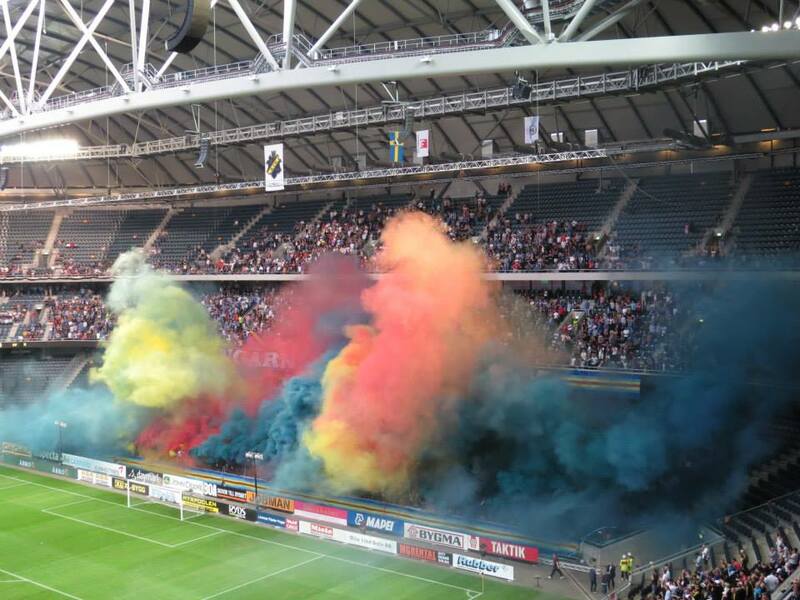 Furthermore they also throwed streamers from the second level of the stadium. 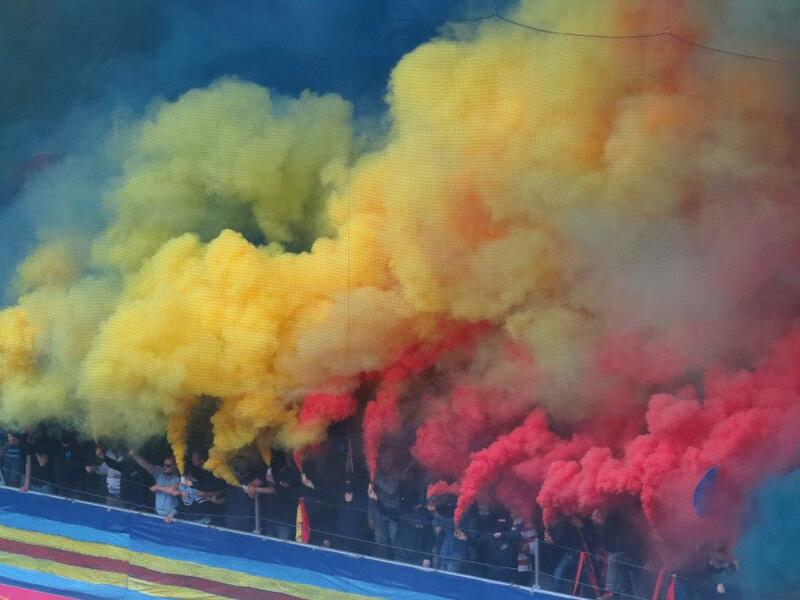 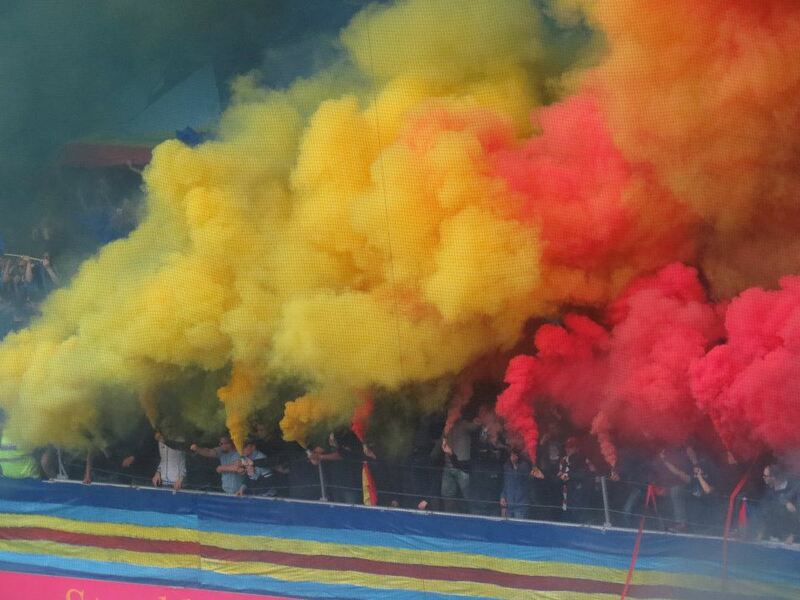 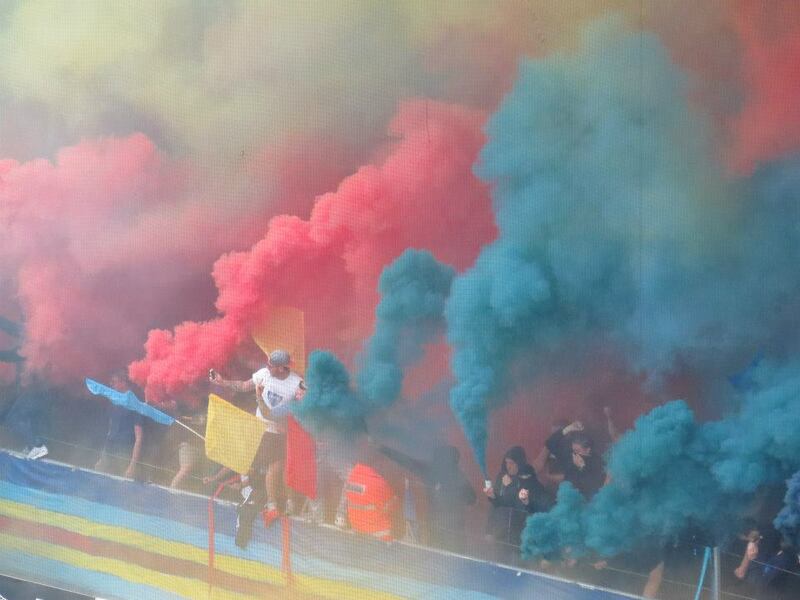 After that they presented a big smoke show also in club colours. 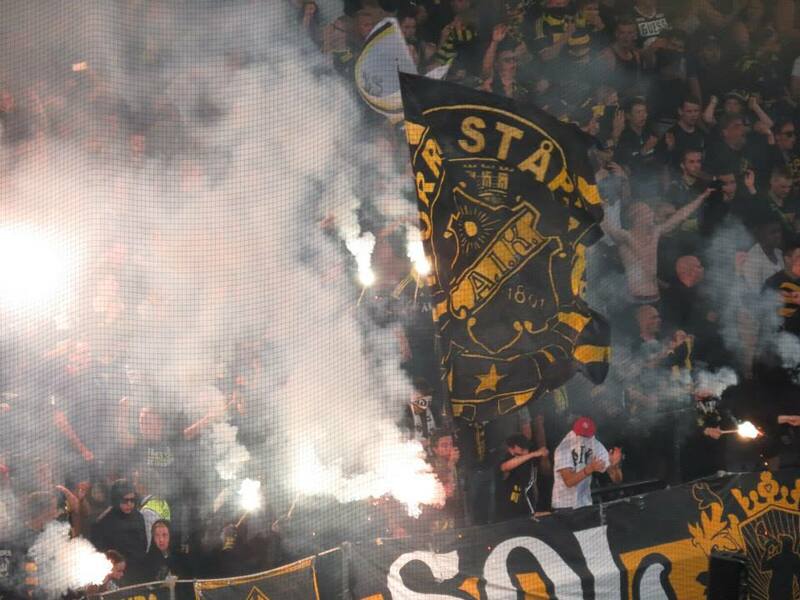 A great start with a nice chaos intro. 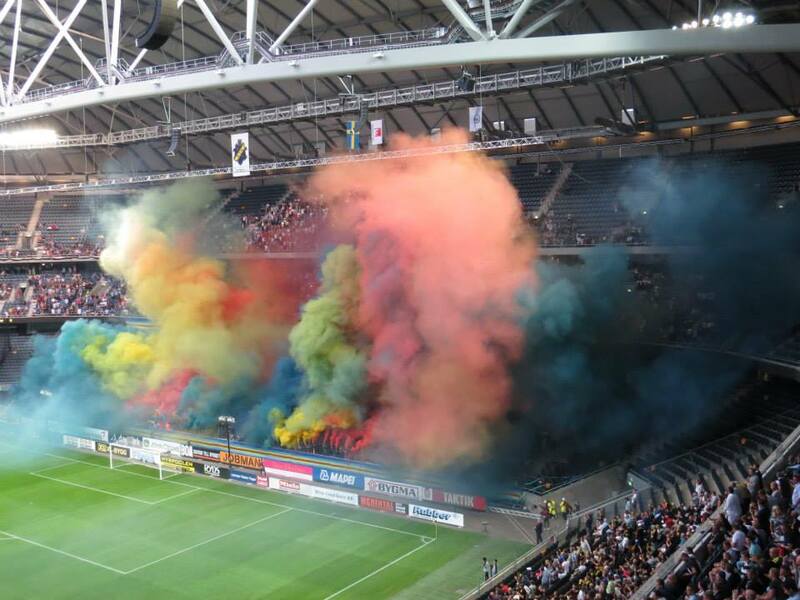 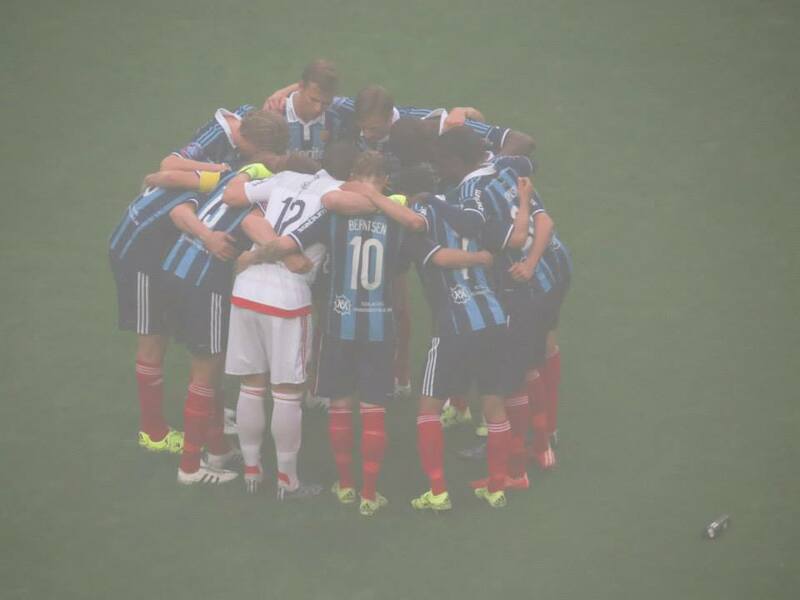 Actually the match had to start about 20 minutes later because of the smoke. 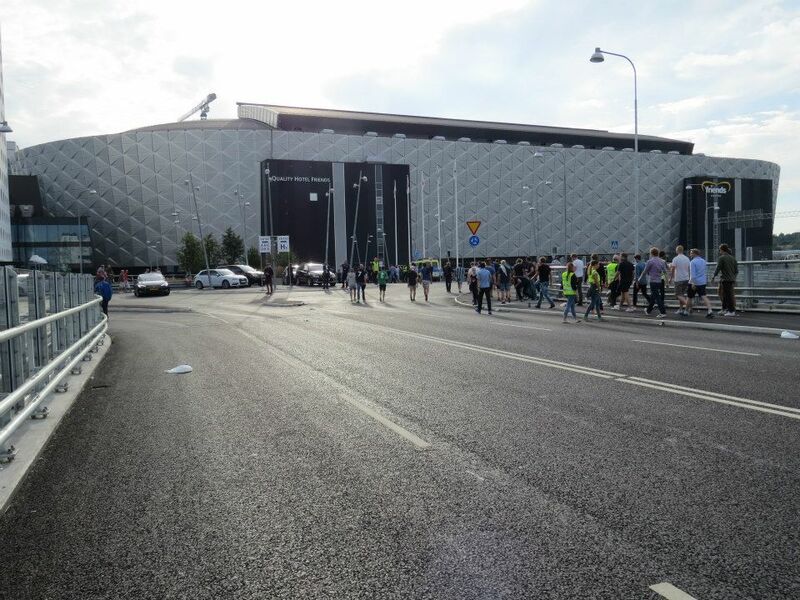 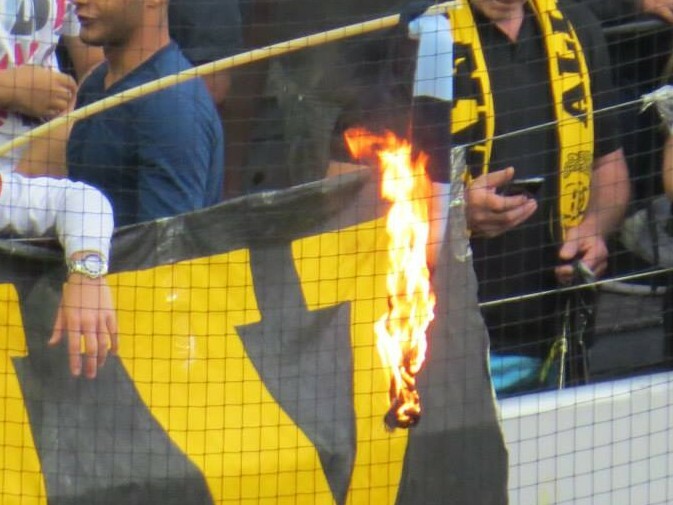 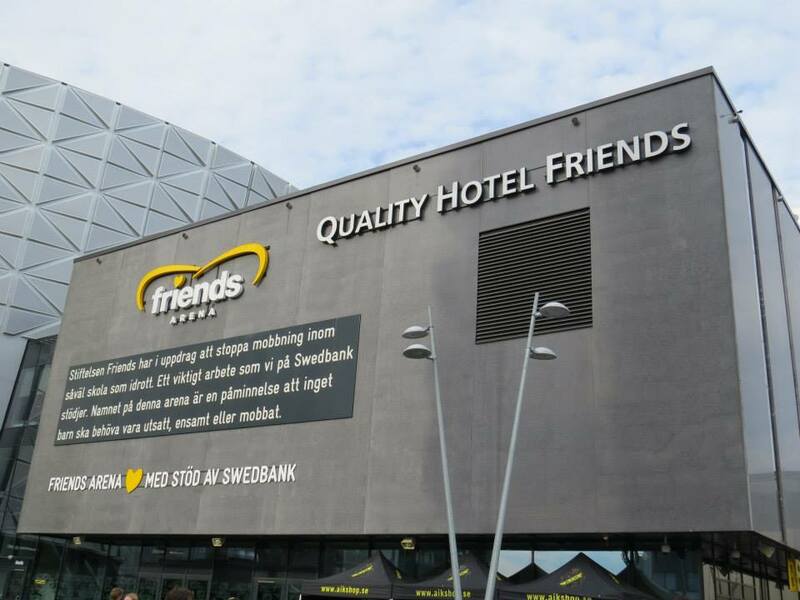 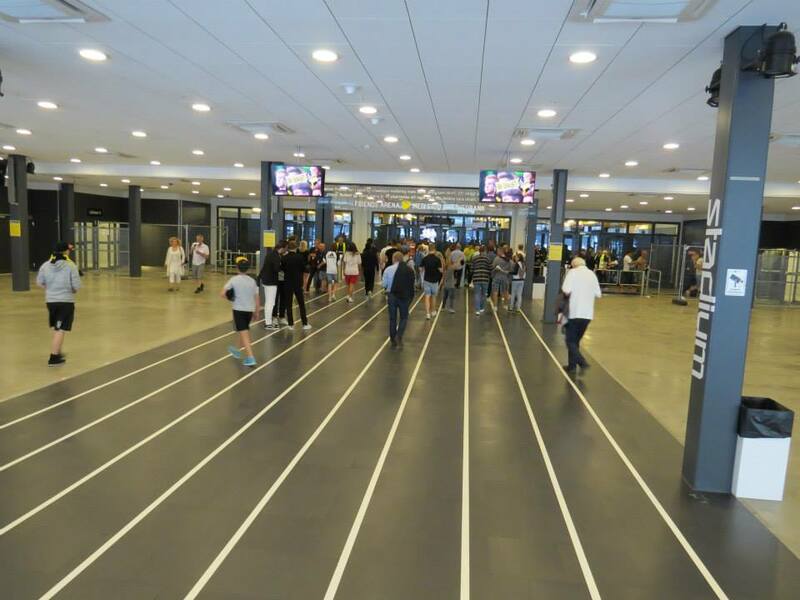 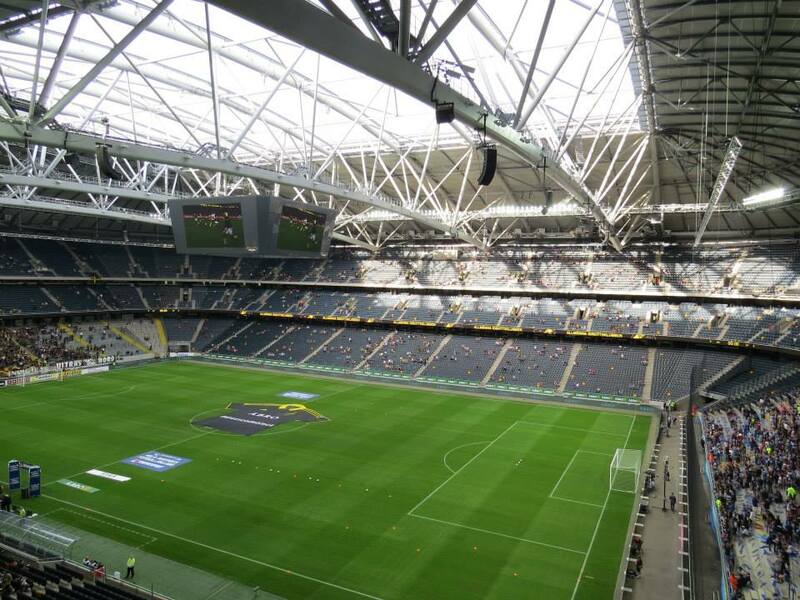 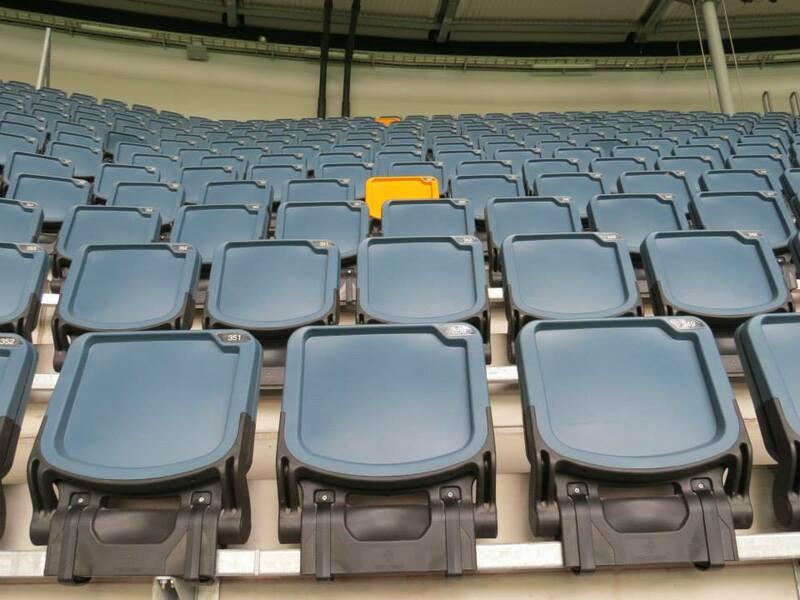 Unfortunately no special intro from AIK side because of a lack of cooperition about their storage for tifo with the club and the stadium. 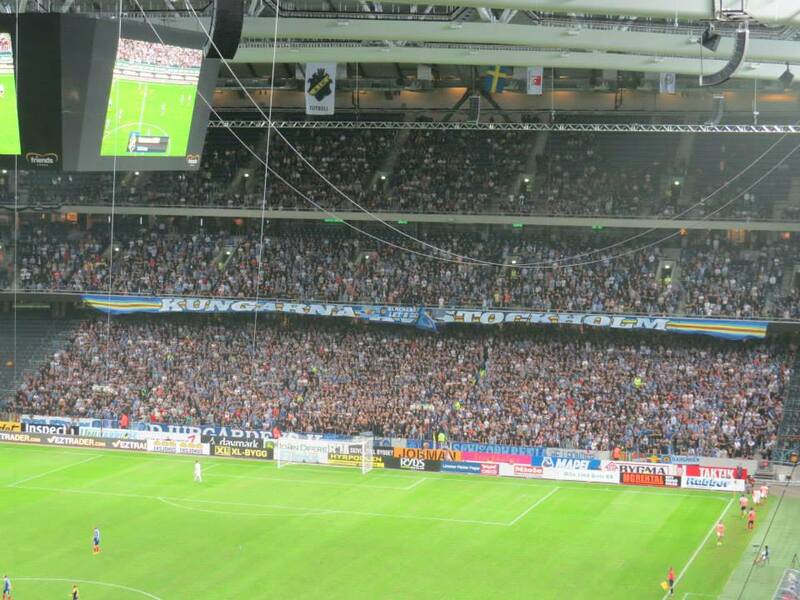 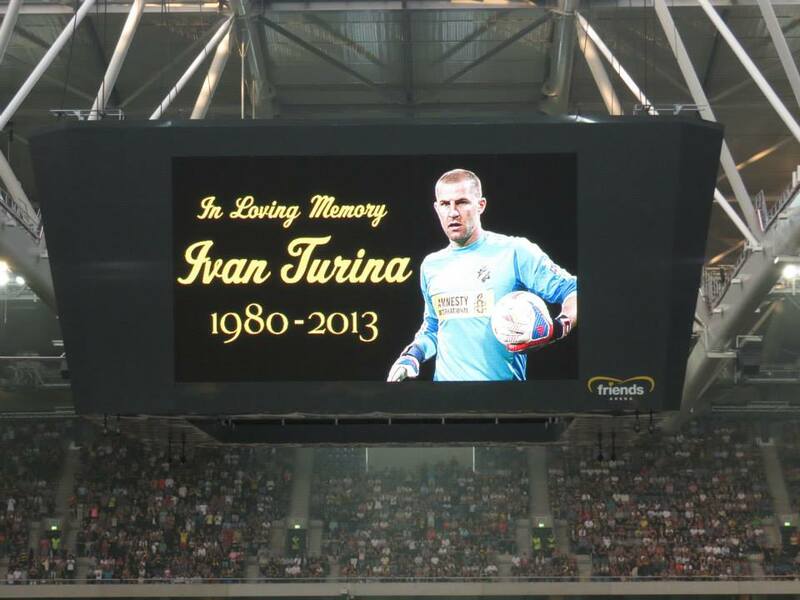 The fans chanted their club anthem and showed their scarves at the beginning of the game. 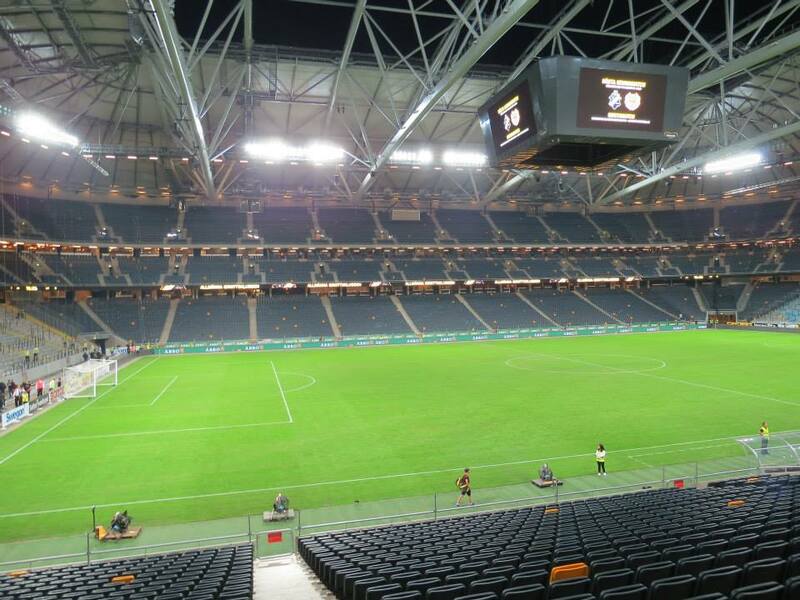 After a red card for AIK player Noah Sundberg in the 32. min they had to play about 40 minutes with only 10 players until Jesper Arvidsson from Djurgårdens IF got his second yellow card in the 74. min. 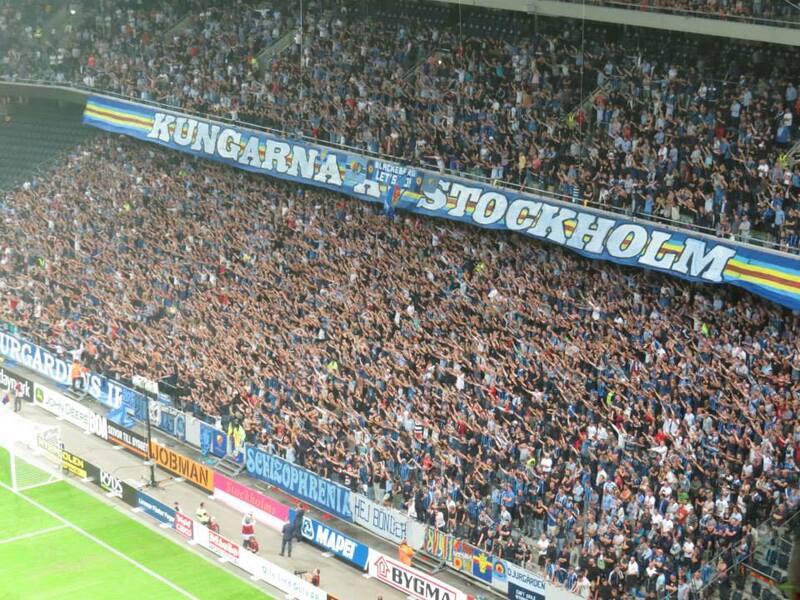 It was a great atmosphere from both sides during the game. 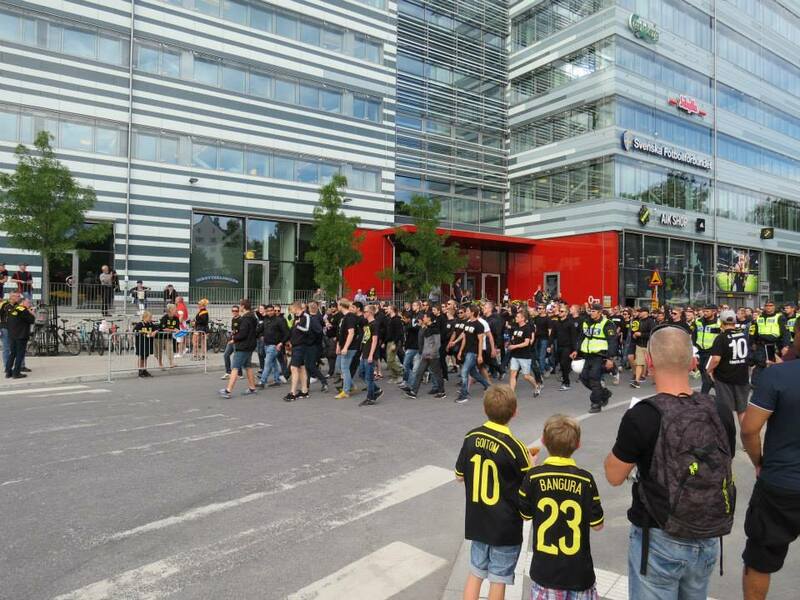 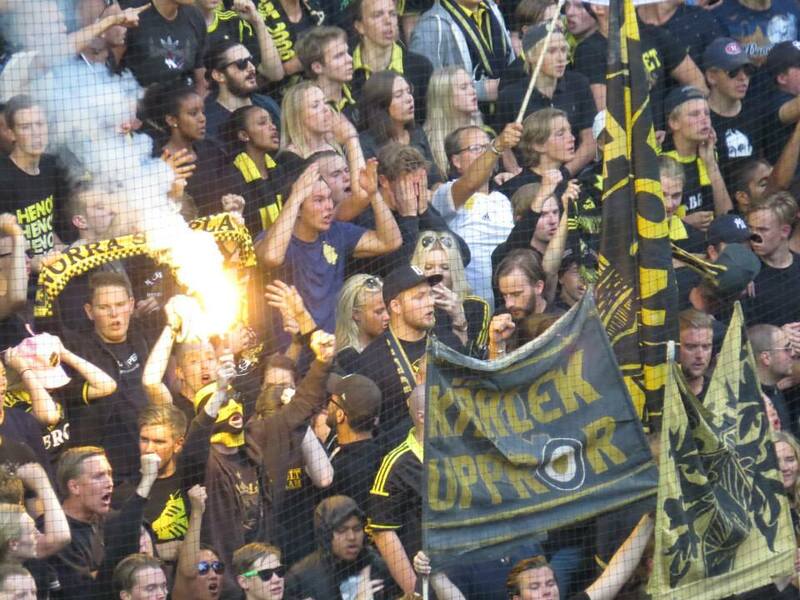 AIK fans were a little bit quieter after they were only 10 players but the tuning came back with the beginning of the second half. 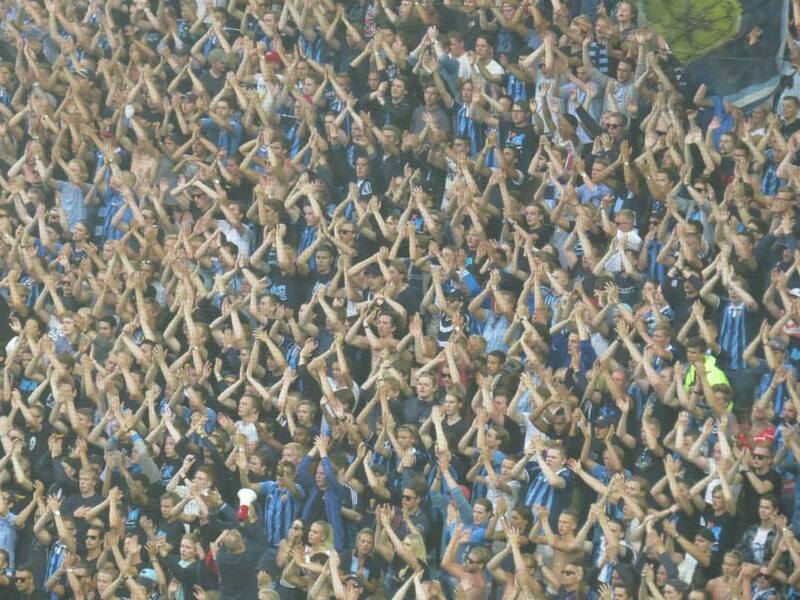 It felt like a state of euphoria when the second half was going to start. 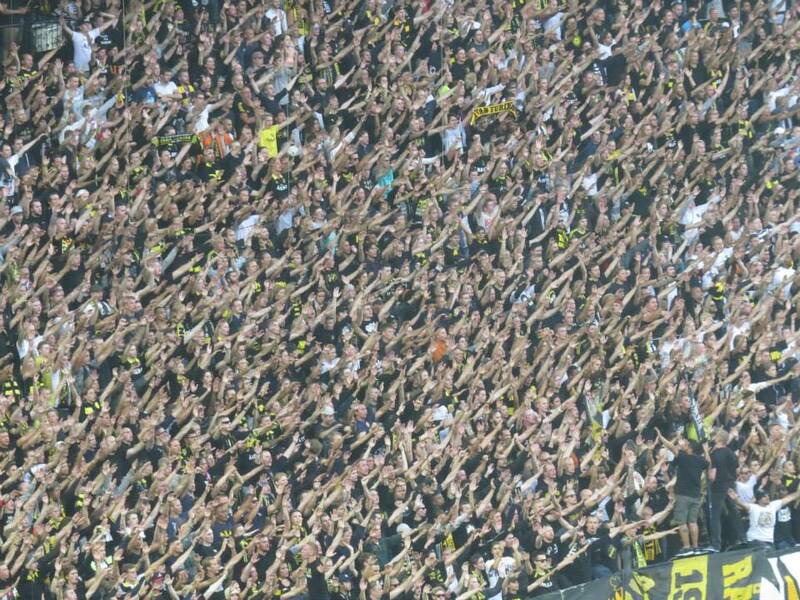 Maybe they now realized that they still have a chance even with 10 players and the only thing they can do is to support the team the best way they can. 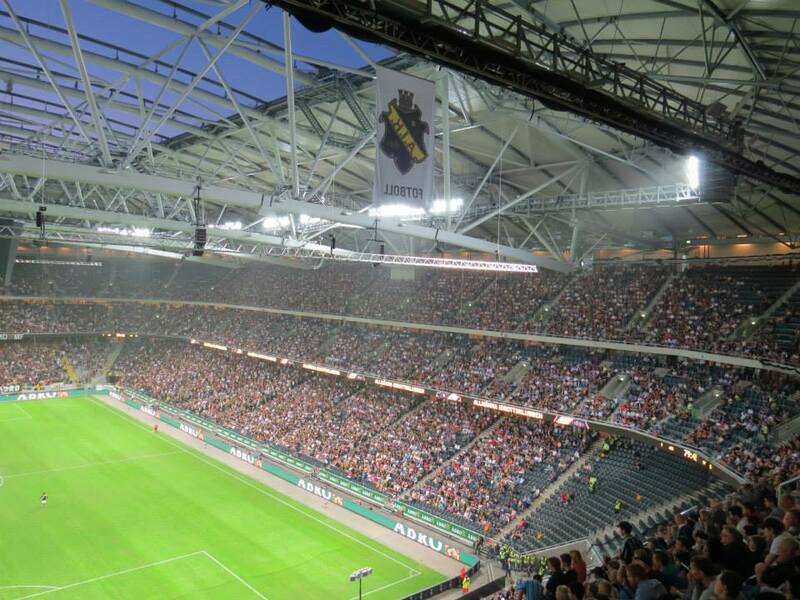 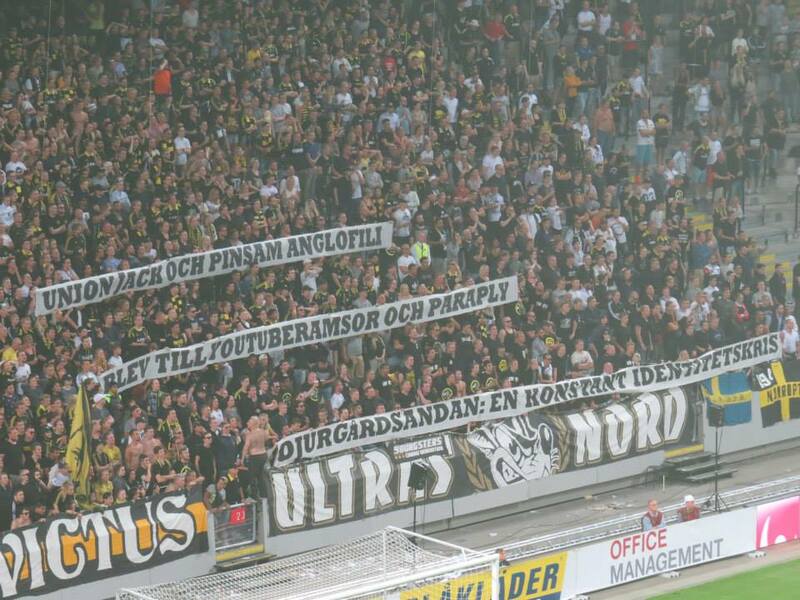 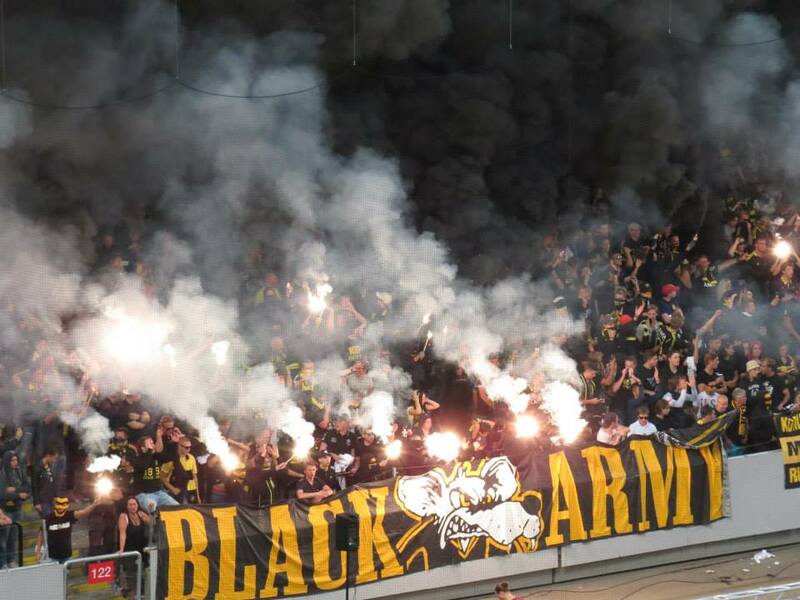 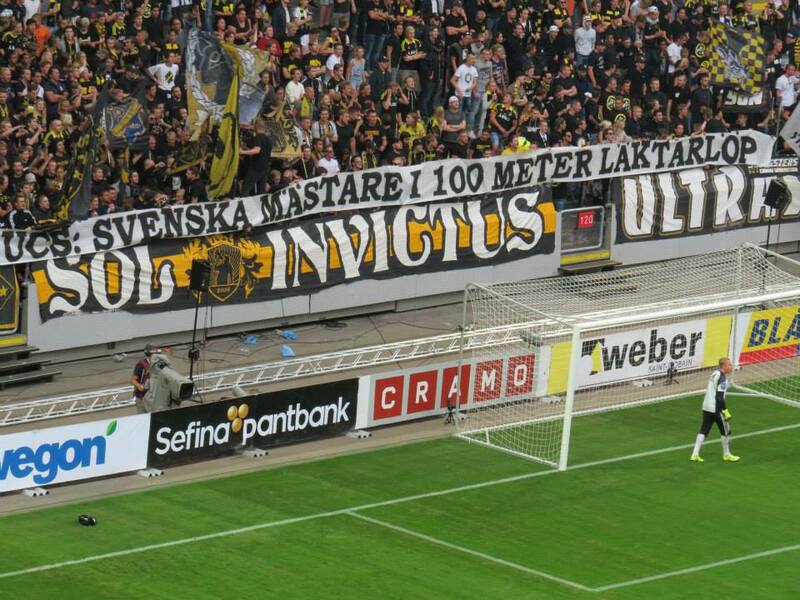 Now it was the turn of the AIK fans and during the terrific atmosphere at the beginning of the second half they made a great tifo show. 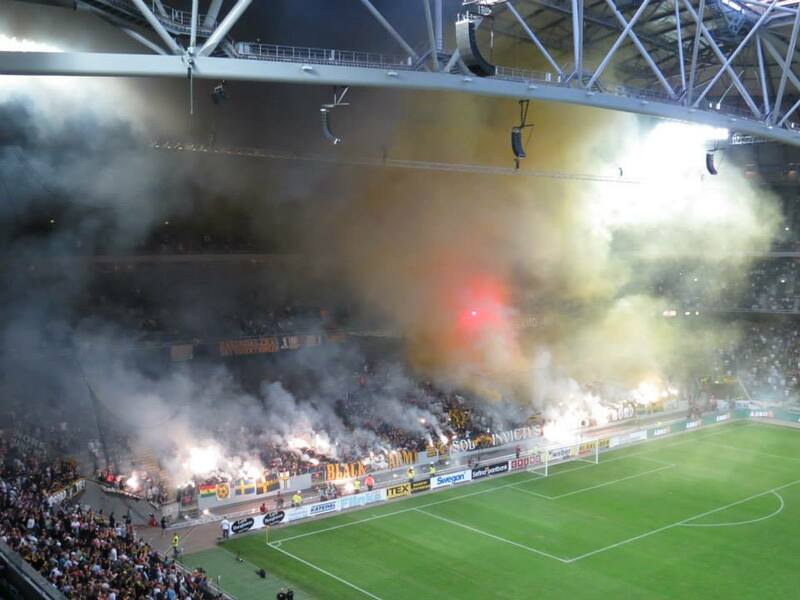 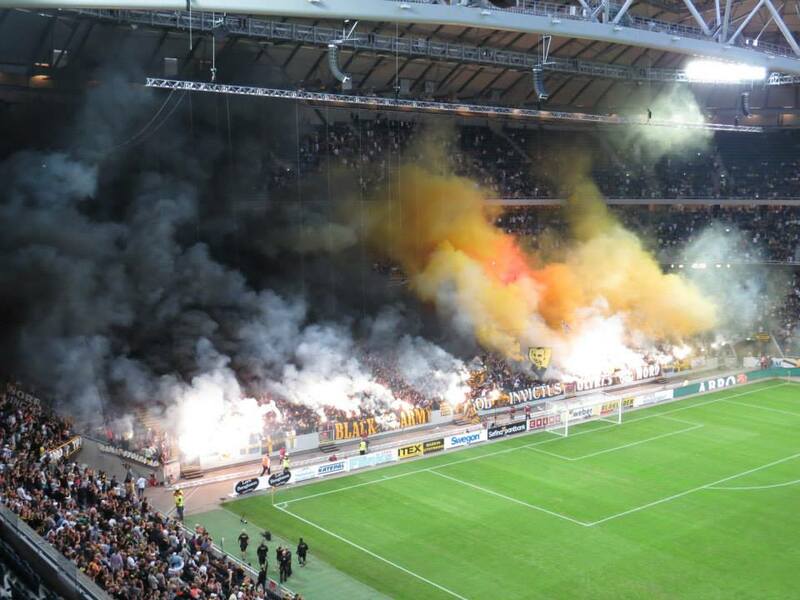 They lighted a lot of pyrotechnics and black and yellow smoke. 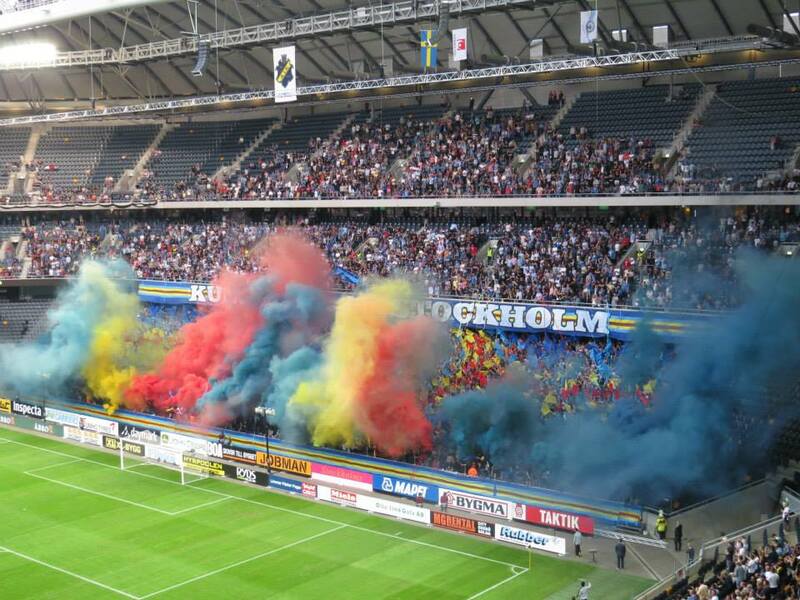 Just a great performance! 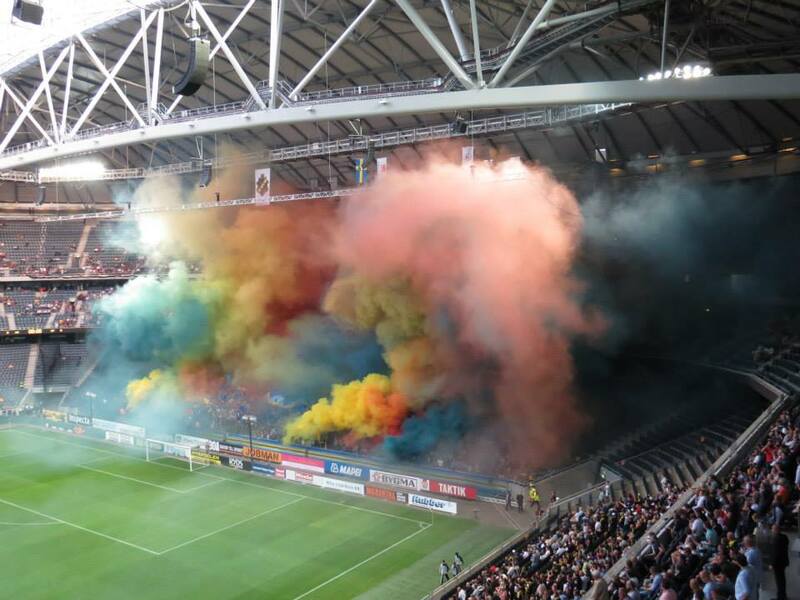 Again the match could not start immediately because of the smoke. 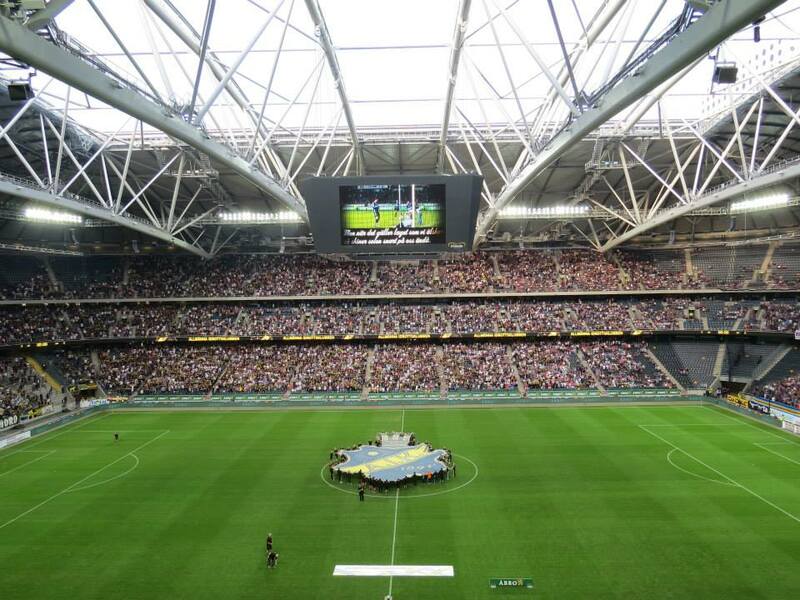 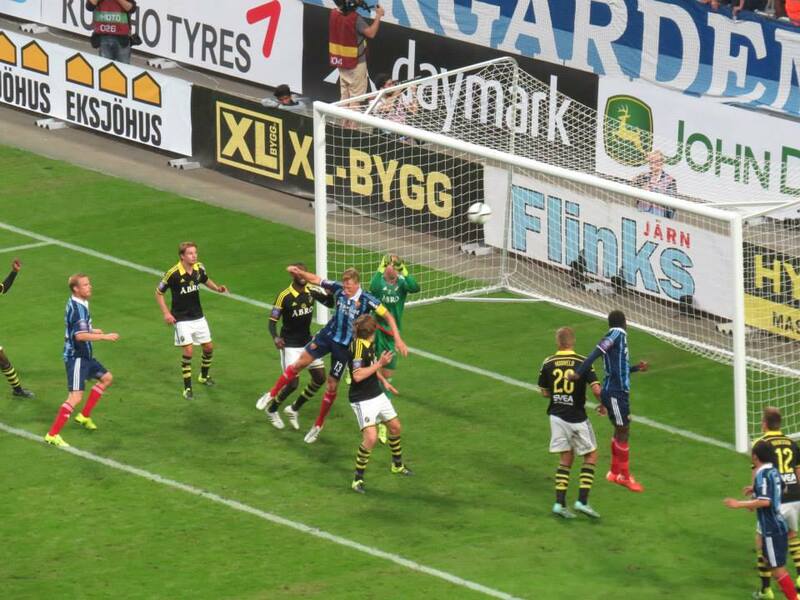 Djurgårdens IF did not used the chance that they had one player more on the pitch and AIK fighted bravely so in the 64th minute Bangura used the chance in a confusing situation and shot the only goal of the day for AIK. 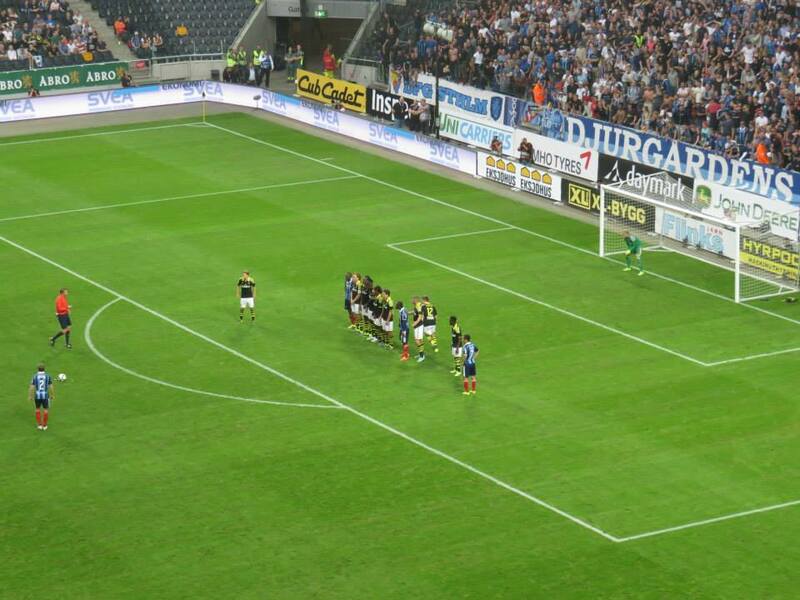 An amazing goal celebration followed. 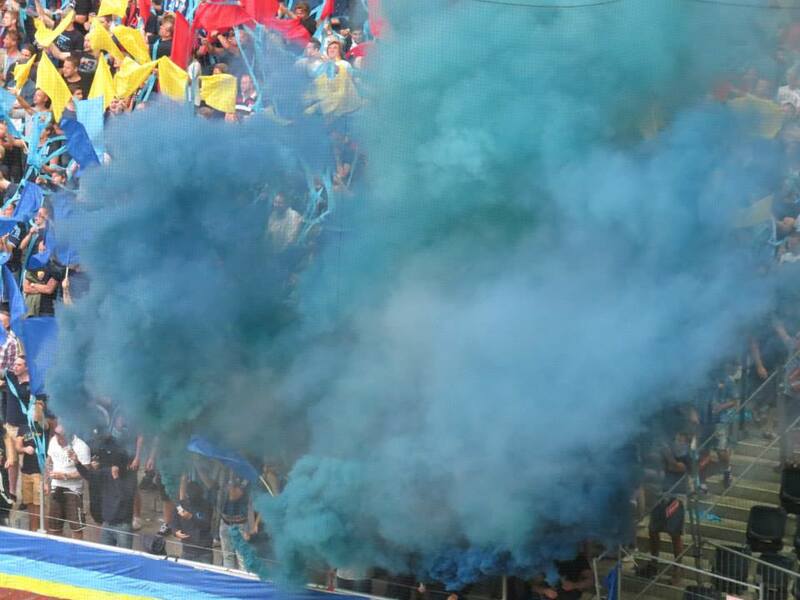 It was like an explosion on the stands and the atmosphere reached the highest level. 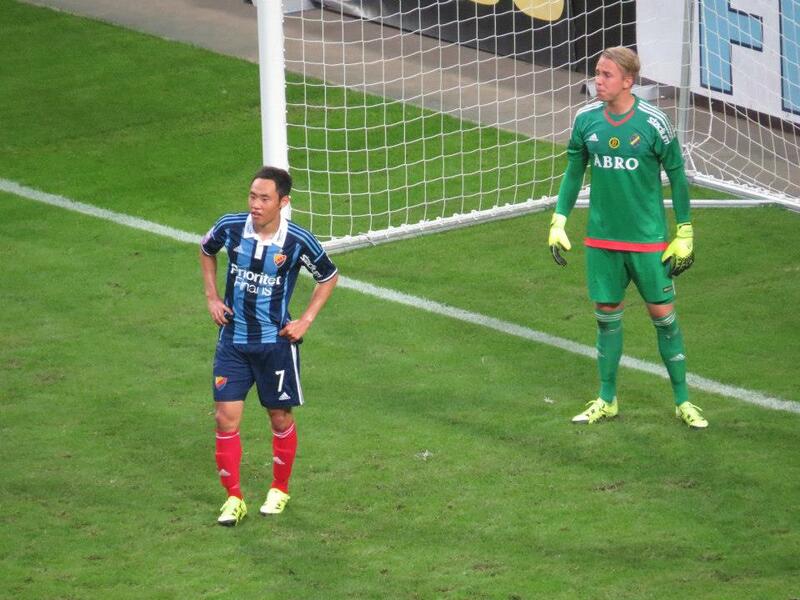 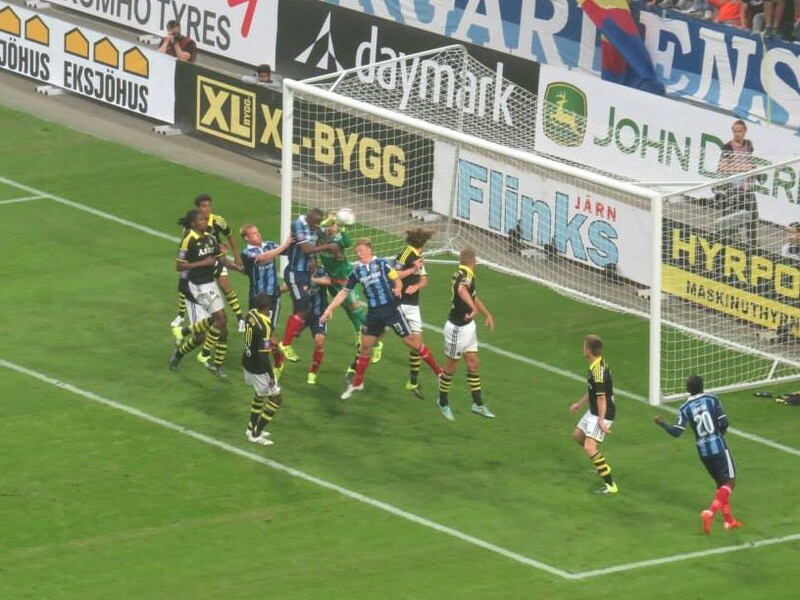 In the 74 minute DIF also had to play with only 10 players so it was balanced on the field. 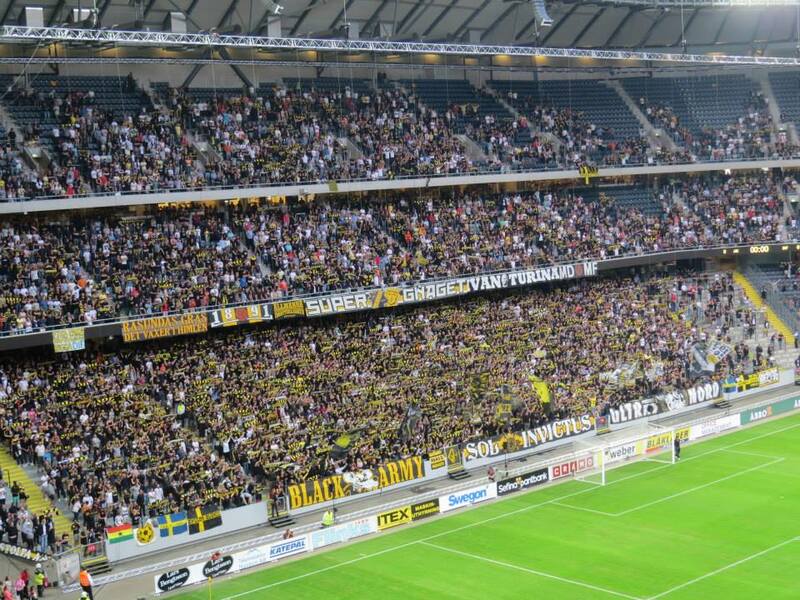 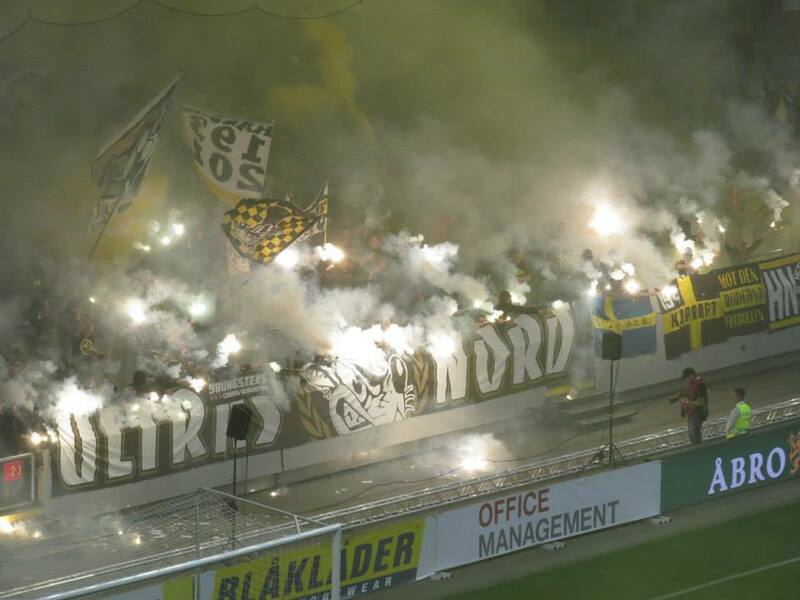 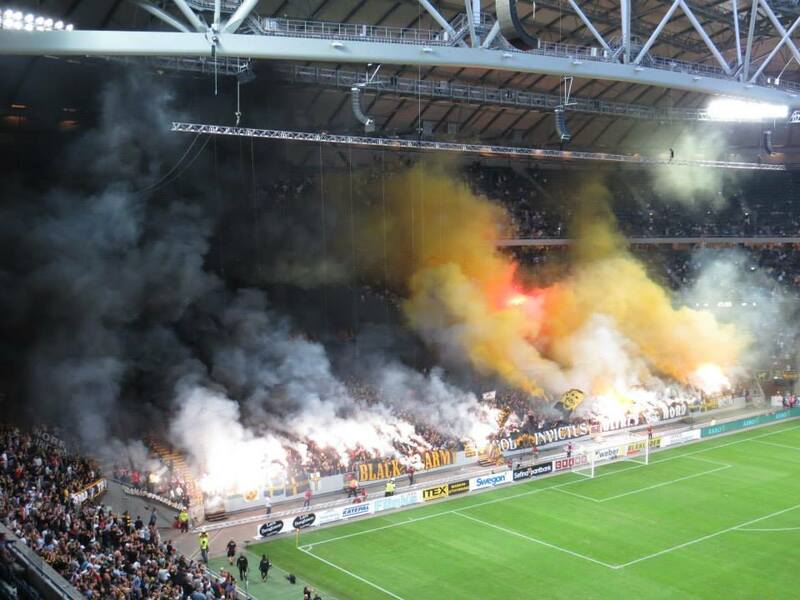 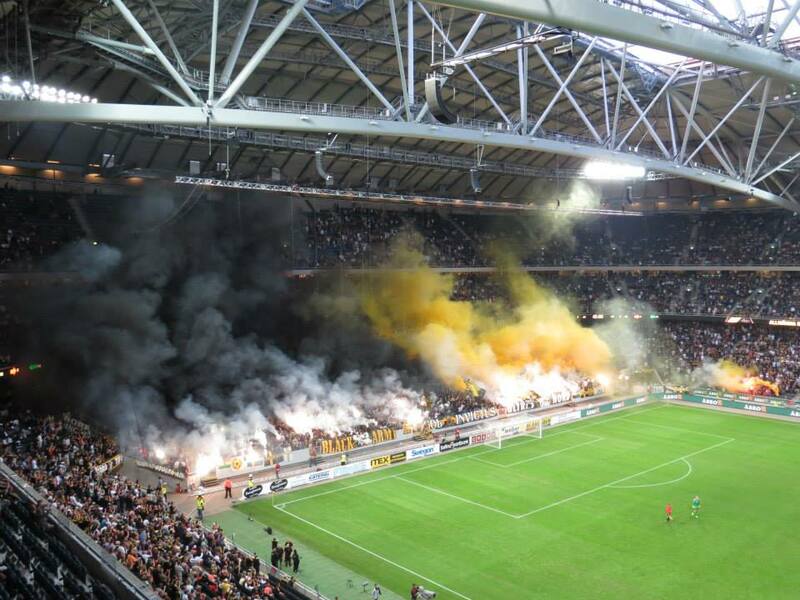 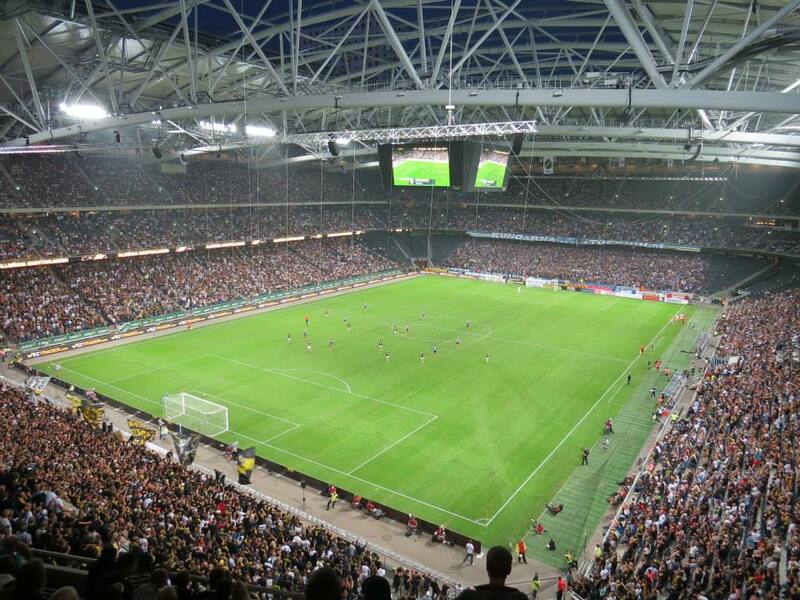 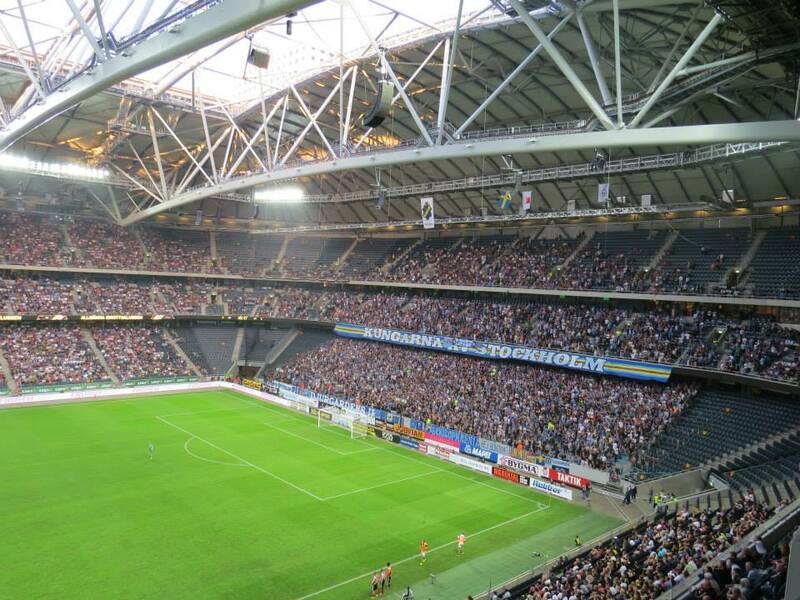 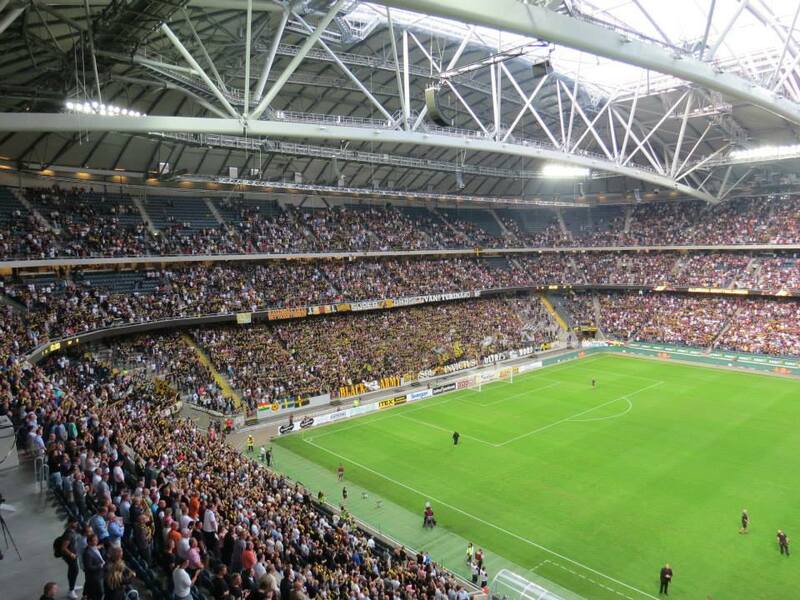 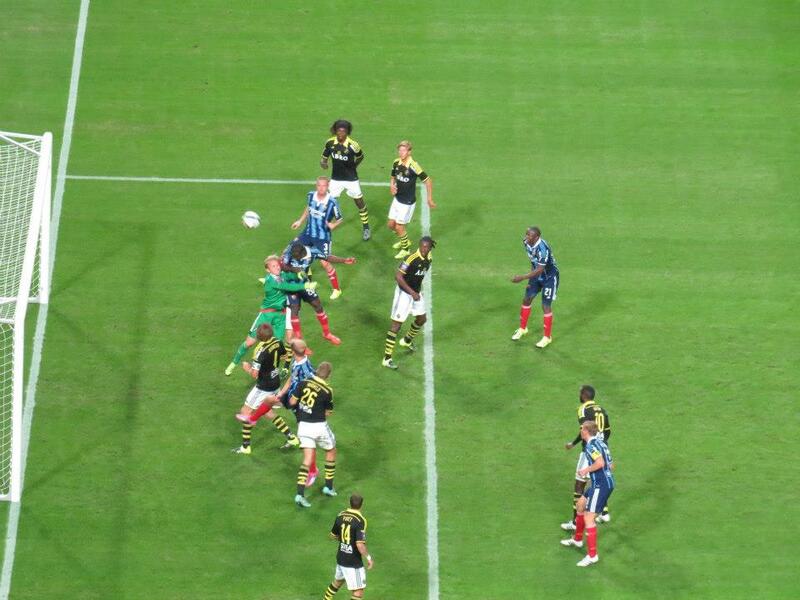 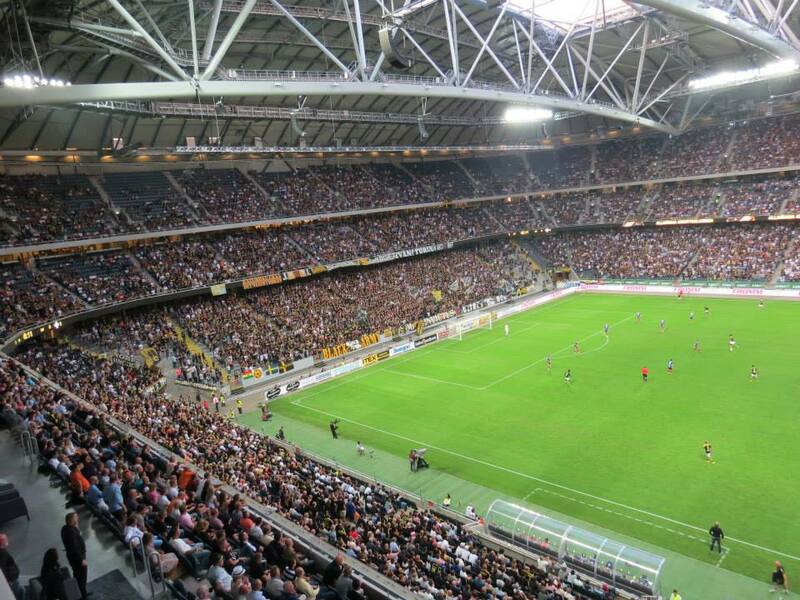 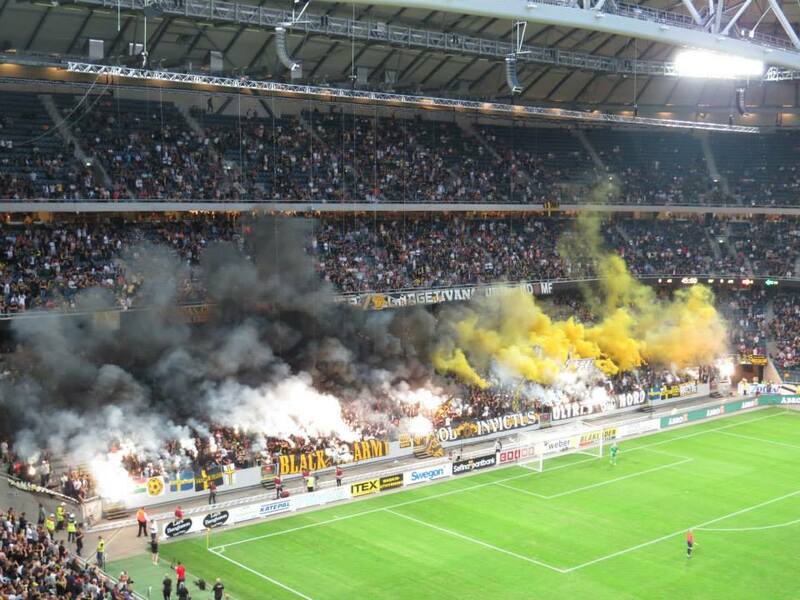 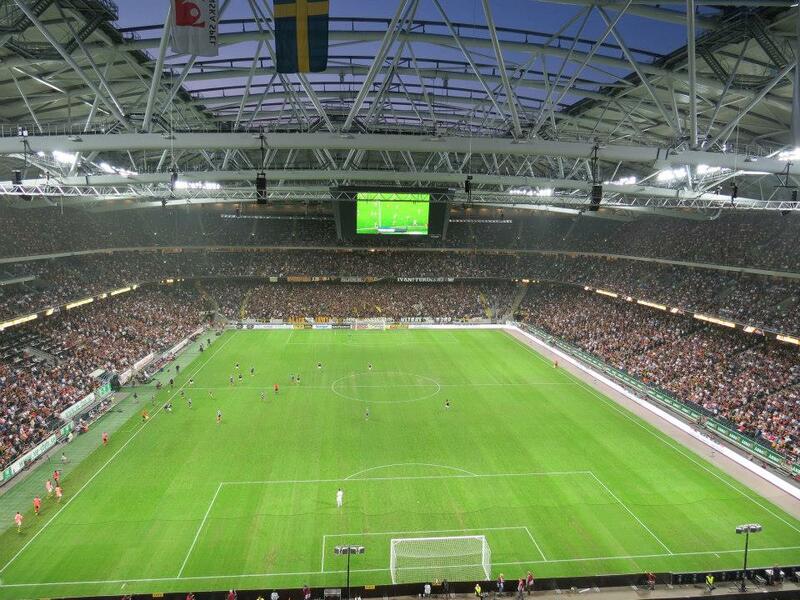 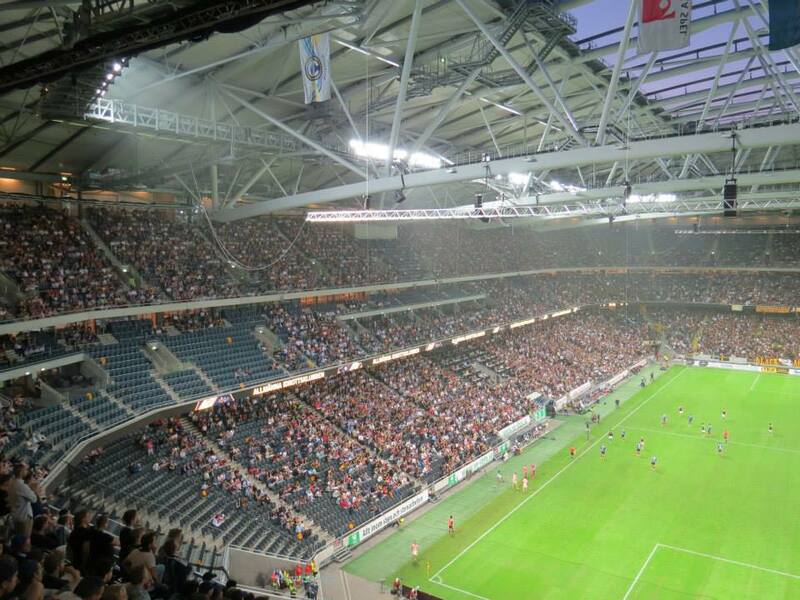 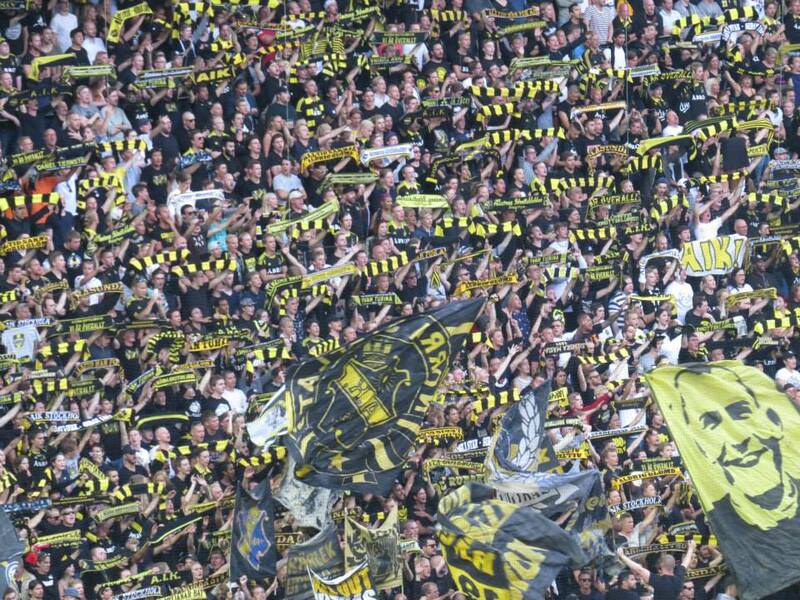 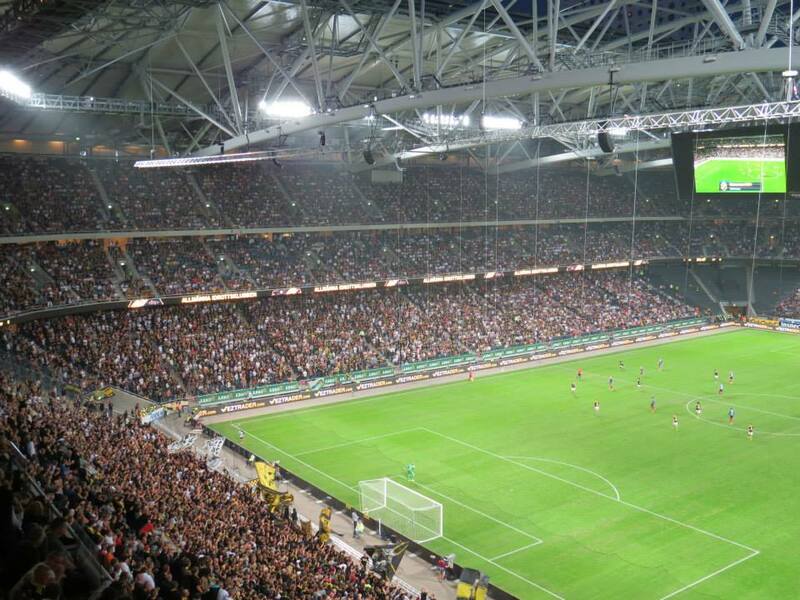 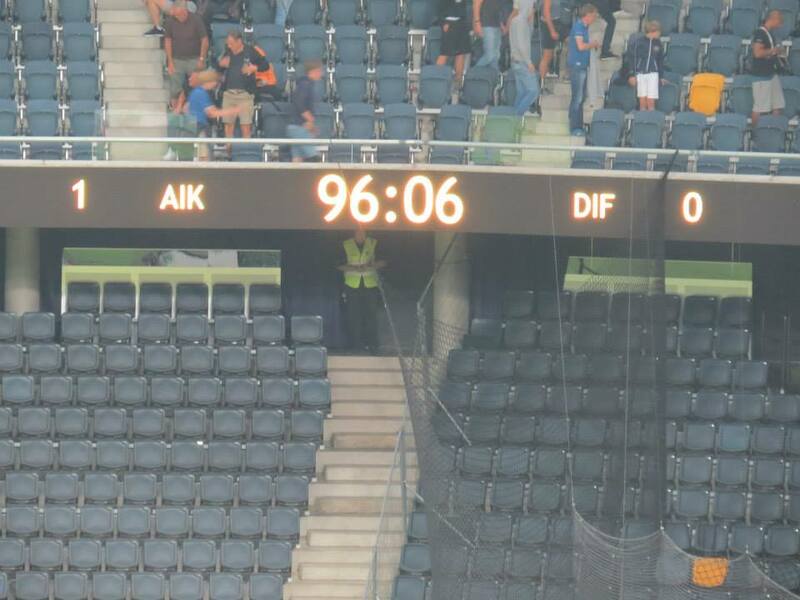 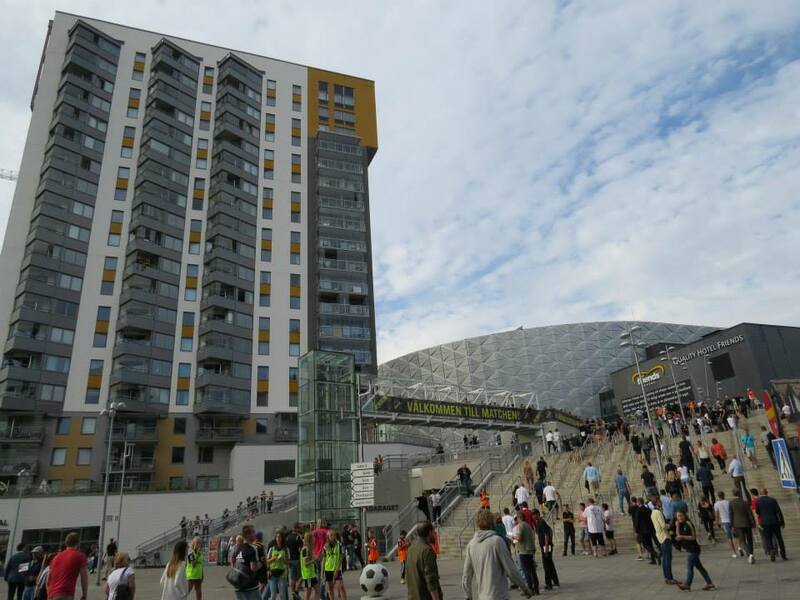 AIK missed at least one huge possibility to make everthing clear but after 96 minutes the Derby Victory went to AIK. 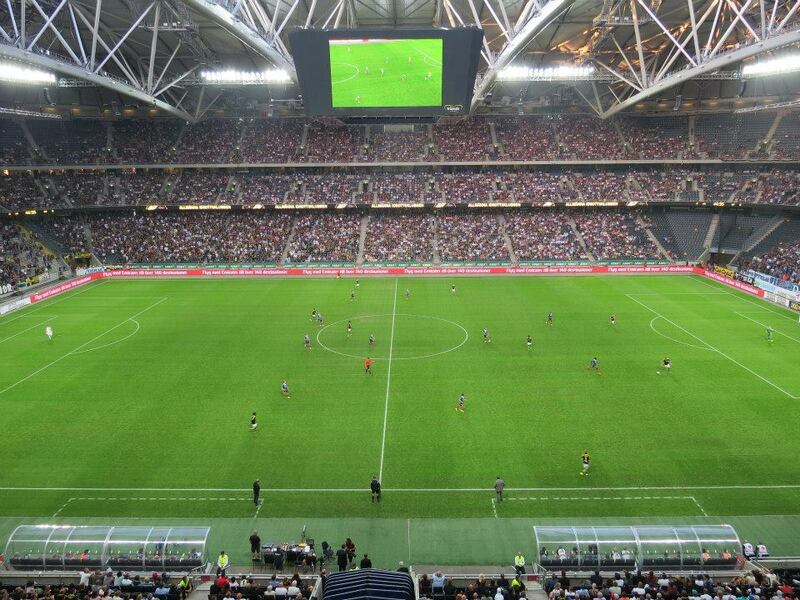 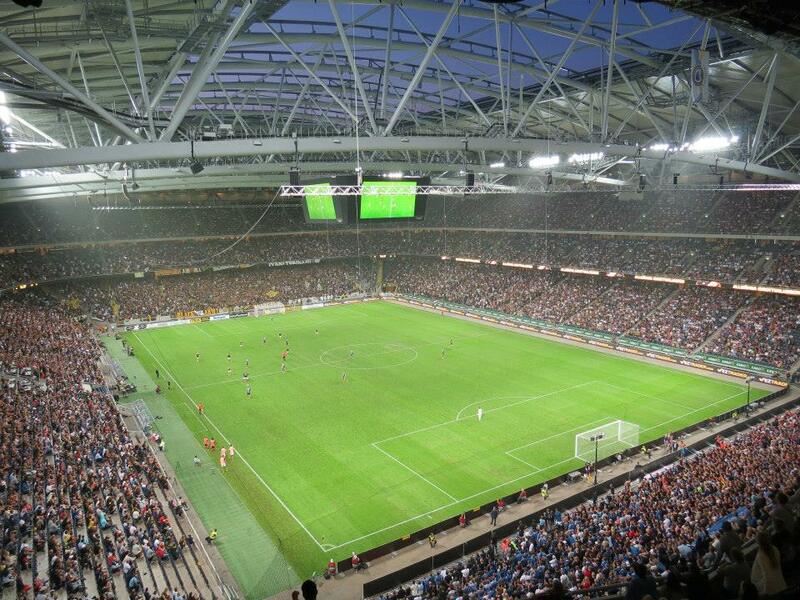 A crazy game and a fantastic atmosphere in the Stadium made the match worth a visit. 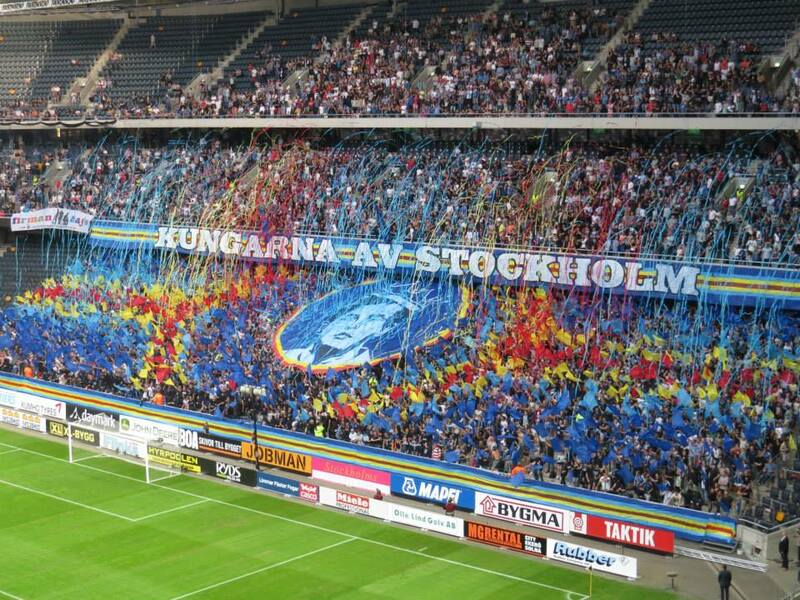 In my opinion currently one of the best Derbys in Europe! 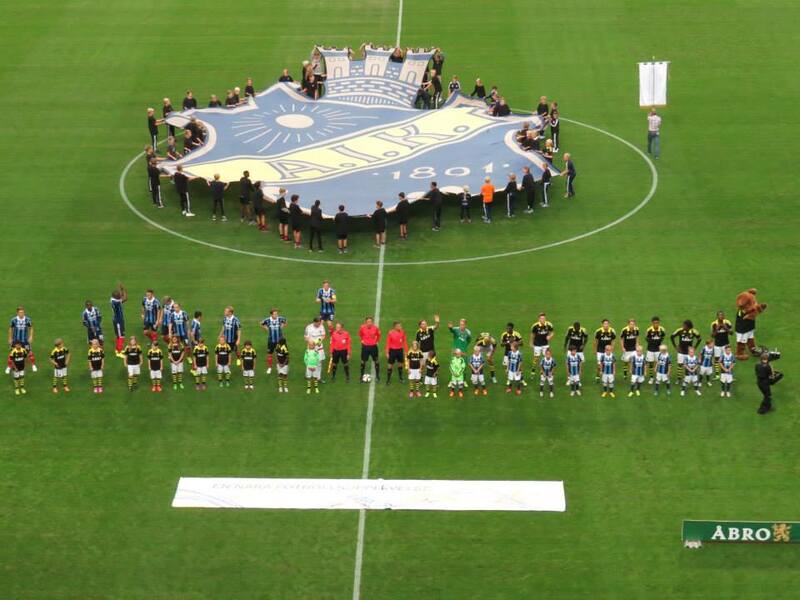 Once again thanks for the great experience!